We provide articles, lessons, knowledge, educational material and services to you subject to the notices, terms, and conditions set forth in this agreement. Besides, you will obey the rules, guidelines, policies, terms, and conditions applicable to such services before you use them. (c)violates or infringes upon the copyrights, patents, trademarks, service marks, trade secrets, or other proprietary rights of any person. 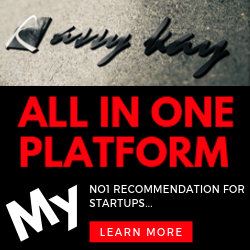 www.assykay.com may give you an account identification and password to enable you to access and use certain portions of this Site. Each time you use a password or identification. You are deemed to be authorized to access and use the Site in a manner consistent with the terms and conditions of this agreement,. Assy Kay has no obligation to investigate the source of any such access or use of the Site. If you are under 18 years old please use this Site only under the supervision of a parent or legal guardian. Subject to the terms and conditions of this agreement, hereby grants you a limited, revocable, non-transferable, and non-exclusive license to access and use the Site by displaying it on your Internet browser only for the purpose of education, shopping and not for any commercial use or use on behalf of any third party, except as explicitly permitted by	Assy Kay in advance. Any violation of this Agreement shall result in the immediate revocation of the license granted in this paragraph without notice to you. Unless explicitly permitted by our company in advance, all materials, including images, text, illustrations, designs, icons, photographs, programs, music clips or downloads, video clips and written and other materials that are part of this Site (collectively, the “Contents”) are intended solely for personal, non-commercial use. You may not make any commercial use of any of the information provided on the Site or make any use of the Site for the benefit of another business. We reserve the right to refuse service, terminate accounts, and/or cancel orders in its discretion, including, without limitation, if we believe that customer conduct violates applicable laws or is harmful to our interests. You may not reproduce, distribute, display, sell, lease, transmit, create derivative works from, translate, modify, reverse-engineer, disassemble, decompile, or otherwise exploit this Site or any portion of it unless expressly permitted by our company in writing. You are solely responsible for protecting the security and confidentiality of the password and identification assigned to you. You shall immediately notify Assy Kay of any unauthorized use of your password or identification or any other breach or threatened breach of this Site’s security.